Now that the summer months are over, autumn festivities are in full swing across Europe! As the colder weather draws in, put your summer clothes to one side, grab your woolly jumper! Here are 5 November traditions in Europe that you should know about! The event celebrates the anniversary of the ‘Gunpowder Plot’ to blow up the House of Parliament in 1605. For this reason, a life-size puppet of Guy Fawkes is typically burned on a large bonfire along with fireworks and general festivities. This puppet, or ‘guy’ (which is where the modern term ‘guy’ meaning ‘man’ comes from), is traditionally used during the day beforehand to raise money for the event; a ‘penny-for-the-guy’ is requested from passers-by. So what’s the connection with V for Vendetta? Why all these ‘Guy Fawkes’ masks? 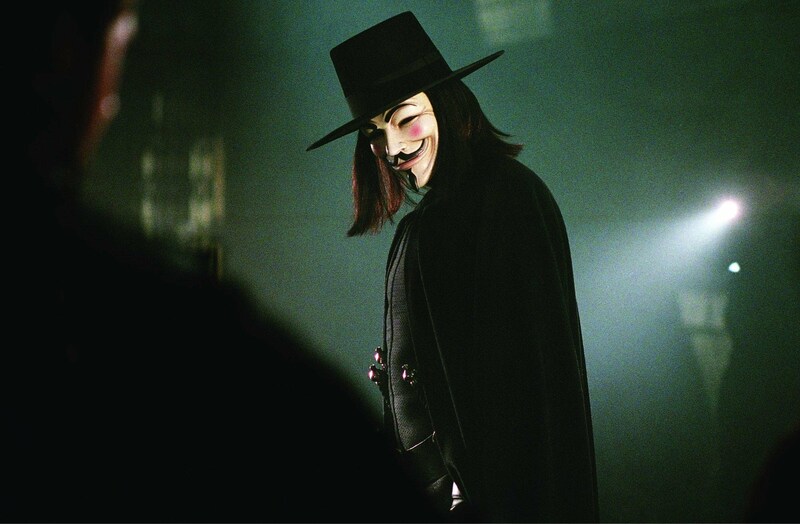 In the oppressive society of V for Vendetta, the character of ‘V’ recites the above poem on television and does what the real Fawkes failed to do; he blows up the houses of parliament on the 5th of November. He chooses to masquerade as Fawkes to remind the nation to stand up against the government in a reality where the lessons of the past had been forgotten. Guy Fawkes has therefore become an ‘idea’. Although Saint Martin’s Day originated in France, it is now a tradition celebrated in many European countries on the 11th of November. 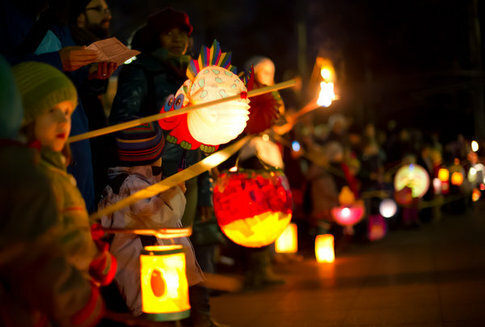 In Germany, children make lanterns that are then processed through the streets in the evening while they traditionally dress up as a Roman soldier on horseback, impersonating the Saint. 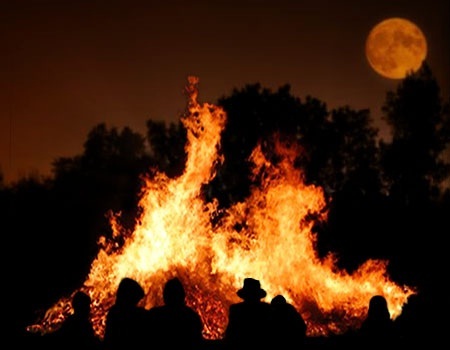 A bonfire is also lit where people celebrate by eating goose (another symbol of Saint Martin) and drinking mulled wine. There are similar festivities in Belgium, Austria and the Netherlands. In many other European countries, these celebrations focus on food, often involving goose, Saint Martin themed cakes, or, most commonly, wine. Saint Leopold is the patron saint of Austria, and his feast day is the 15th of November. Just like Saint Martin’s Day, Austrian’s traditionally eat goose on this day and, more importantly, plenty of wine. In fact, the tradition is to travel to a specific wine cellar in the city of Klosterneuburg for an event called ‘Fasselrutschen’ or ‘The slide of the great cask’. 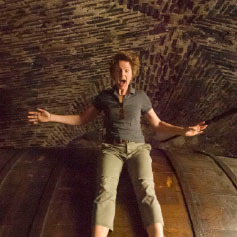 This activity involves climbing on top of the cellar’s enormous wine barrels and sliding off them. Folklore has it that the faster you slide, the luckier you shall be in the coming year. In the past, Saint Catherine was supposed to be the protector of young girls. Therefore, young girls and ladies would pay homage to her on her feast day, November the 25th, by making a hat in her honour. When they married, they would leave this tradition behind. Over time, if you reached the age of 25 without getting married, you were said to be ‘capping Saint Catherine’ (‘coiffer Sainte Catherine’). Nowadays, this somewhat outdated tradition exists for single ladies over 25. 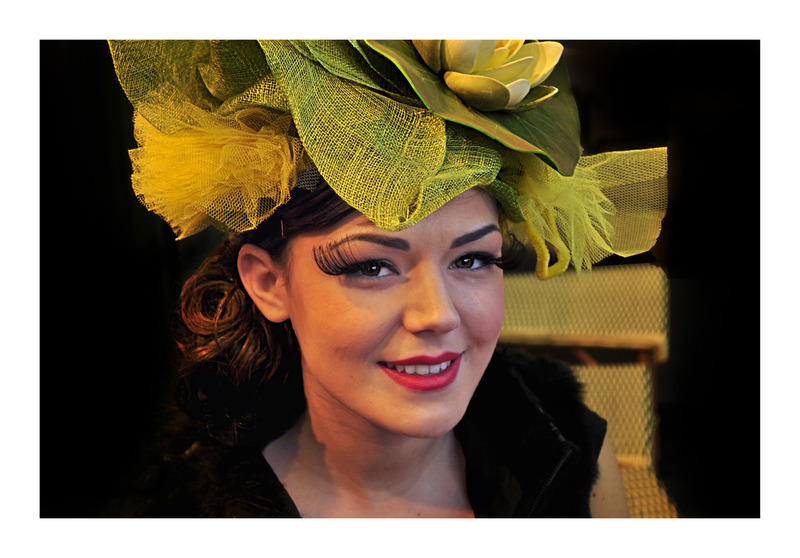 They wear ‘Catherinette’ hats on this day, which are predominantly yellow and green; the colours of wisdom and hope respectively. Three upside-down cups containing a green plant, a ring, and a cross are placed on the table. Each girl chooses one; the ring signifies marriage, the cross a vocation in the church, and the plant an unmarried life. Wax is dripped into cold water through a key; the shadow of the shape you finish with should help predict your future. What do you think about these 5 November traditions in Europe that you should know about? Let us know! So, if you find yourself in any of these countries this month, don’t miss out! There are always new traditions to experience: make the most of the autumn and keep travelling! Thanks for hanging out with Europe Language Café and see you in our next blog!